For the past 8 years, SHI Group has never packaged candidates. We research and deeply interview candidates to make sure that what is given to us is true. Then we tell you the results of our research. SHI Group believes you need real data and transparency to make the best choice in candidates. At SHI Group China, executive search and China recruiting is our primary area of service to our clients. We help you find the best people, build successful teams, and generate value through our unique process. We see that no one is perfect and therefore seek candidates who are imperfect. That sounds crazy, but we found that the people who act perfect are the best politicians. They are not being real. We background check all candidates and are often astounded when the person who interviewed the best is found to be a liar and a very bad hire. The background check we developed is powerful and uncovers what no interview can. We kick out 72% via the background check discoveries. We call the other 28% Trustworthy Talent®. Let us be your recruitment agency in China. First, however, we find exceptional leaders who are in tune with your markets and the culture of your organization. Our team develops close and effective working partnerships with you to ensure we understand your strategic issues and search requirements. This helps us avoid throwing mud at the wall to see what sticks. Happily, when we really see what you want, we get you spot on resumes very quickly. This relationship is based on listening, uncovering real data, and disclosing everything. SHI Group guarantees a great hire every time through our Accuhire® China recruiting process. Further, we uniquely offer our clients the strong possibility of a truly remarkable candidate. The power of our background check is it helps us see who is good at interviewing and who is an amazing hire. We can take up an ugly resume and find a leader who you will be excited to hire. About 20% of the time, we deliver the “diamond in the rough” that will transform your business. We seek to know everything about the candidate and give that direct to you. Further, we try to tell the candidate everything we can learn about the customer and the hiring manager. That way we can make the best fit with the best expectations, so everyone can know the real situation. Because of this, our China recruiting placements stay with companies, on average, 80% longer compared with other traditional headhunters not using our Accuhire® China recruiting process. We do get you Trustworthy Talent®. SHI Group China does not just provide our clients resumes. We find talented candidates and then find out the whole relevant truth about them. Our consultants look into the candidate’s background and find out if they have a large weakness or a track record of dishonesty.SHI Group China background checks deeply so the risk of hiring the candidate is virtually eliminated. 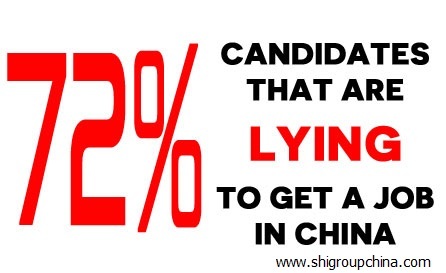 SHI Group China is completely transparent with our clients about what we know about candidates. We never cover up bad facts about candidates. We know the best hiring decision can only be made when our clients have all the facts, both good and bad, about candidates. 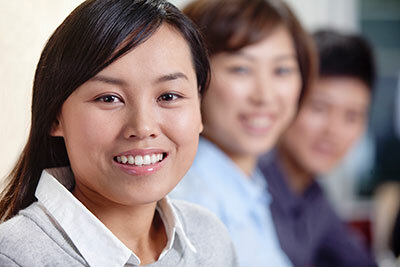 Our Accuhire® China recruiting process provides a viable alternative to typical recruiting. We had a recent customer say, “SHI Group is the Best. You guys will come out and kill your best candidate at the last minute.” We do that quite often and are glad our customers can see it. We of course then do the hard work and find them the really right person. SHI Group China saves our clients time and energy by only putting forward candidates to interview who we know are great hires. We interview for 90 minutes to two hours before we give you a shot at them. When you get them, we already know them very well. You will not see them if we have not done this first. After you interview, the candidate will usually give us permission to do the background check. Then we will filter out many more who were just good at interviewing. Why Should You Use Our Accuhire® China Recruiting? SHI Group China does China recruitment right. Our Accuhire® methodology offers many benefits, including improving your company’s time to hire, delivering talented candidates with character, and providing verifiable metrics for the hiring process. In fact, according to Staffing Industry Analysts, the two most common reasons that businesses go to outsourcing is to increase the speed and quality of candidates, and to help the organization gain a competitive edge in the marketplace. Additionally, we give you both with our deeply experienced team. SHI Group uses our 10 Step Accuhire® Process to deliver remarkable people for your business. SHI GROUP works with client to gain a multi-dimensional understanding of the job requirements and worker that client desires. SHI Group discusses the recruitment strategy and assumptions with client to ensure alignment so the project has the maximum chance for success. Gain a deep understanding of client needs and who should be recruited. Discuss IP protection options together if relevant to hire. Send initial resumes after first week and get feedback from client. Recruit a pool of candidates. Client gives feedback on best of new resumes. SHI Group interview and recruit. Client determines who to interview and does interviews. SHI Group background check deeply. SHI Group stays in contact as employee begins work and client takes over. Client enjoys new hire and SHI Group and Client do engagement wrap up meeting. Our Accuhire® China Process is an incredible way to help your business in China grow. We know that success in China recruiting requires being in tune with the China market. We are focused with deep roots in the Chinese culture. Through our China focus, we understand emerging issues and provide you with important local insights. Additionally, we have the coverage to search for talent where needed. We can tap into the increasingly international pool of senior executive leaders. Plain and simple: we seek the best candidates, wherever they are located. At SHI Group China, our China recruiting approach is rooted in consulting. We listen closely to understand your situation and your needs. In a world where CVs are available everywhere on the Internet, we add value and insight to the identification of deeply valuable candidates. Our work is founded on a comprehensive, disciplined approach that ensures finding suitable candidates who you want. We take time to understand your business, and the challenges inherent within your industry. We know the candidates you want to recruit because we have a working relationship with them. Moreover, SHI Group China is relationally strong, so we can attract candidates with the talent your highly specialized industry demands. Our reputation and our existing relationships give us a clear competitive edge. Our edge becomes your edge. Knowing you well enables us to narrow the pool quickly and propose professionals you need. The result? Clients enjoy an expedited selection process and lower cost per hire. Because we are experts in countless industries throughout China, we spend more time learning about your specific needs and less time getting up-to-speed with the local marketplace. Part of what makes SHI Group China unique is the emphasis we place on fact finding throughout our recruitment in China. That is, before we begin an executive search, we invest the time to understand the precise requirements, responsibilities and expectations the position entails. We ask a lot of questions, and keep your answers confidential, of course. Further, while the main focus is on recruiting someone with the skills and experience needed, we also try to get a sense of the personality type that will best fit your corporate culture. Let’s face it. The vast majority of the really talented people are already working in jobs, usually good ones. They’re likely not in your own backyard—and they may not even be in China at all. Further, they’re certainly not reading the classified ads. These people won’t find you, so you need to find them. And that’s just what we do. We research companies and candidates. We then strategize how best to conduct recruitment in China to attract these top-tier performers and get them to consider an opportunity with a new employer. SHI Group China knows that hiring the wrong person can be a costly mistake. Our team at SHI Group China can help you to minimize the risks associated with recruiting a new employee. We never just send you a stack of resumes. SHI Group does in-depth candidate reviews to evaluate the quality of every candidate we recommend. We conduct extensive background and reference checks. When we send you a candidate, we do so with the utmost confidence that the individual is right for the job and would be a wonderful asset to your organization. Once we’ve identified the most qualified individuals through our executive search, we work with you to recruit them and secure their placement. That may mean assisting with negotiations or ironing out employment details. Even after the candidate has accepted the position, we follow up to make sure that you are pleased with the end result. You tell us your needs, and we’ll create a detailed executive search plan for recruitment in China that works for you. SHI Group China has a long-standing reputation for integrity and professionalism. We are not your typical recruitment agency in China. Our emphasis is never on just filling a position; it’s on finding you a highly qualified executive who will precisely meet your requirements. We’ve earned the trust of premier employers around the world. We will be an asset to you by identifying and providing access to the top talent you want. Our consultants work diligently, discreetly, and with integrity to fulfill our clients’ needs. They are what make our team different from any other search division. All growing and thriving organizations require an effective leadership team to achieve optimal performance. Finding the right senior executives is best achieved with the support of a firm with a demonstrated track record of identifying and recruiting top talent. To be successful in today’s competitive war for top leadership talent means that your recruitment agency in China needs to have well-defined, time-tested, and market-proven processes in place that have consistently demonstrated the ability to produce top talent. 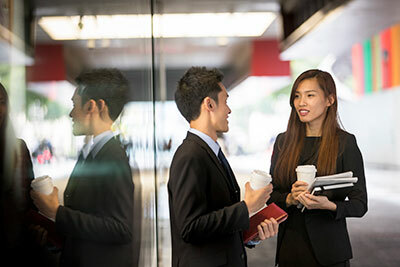 At SHI Group China, our executive recruiting skills and experience help companies build superior leadership teams that help enable profitability and create a sustainable competitive advantage. Product and service innovations can yield short-term success, but long-term prosperity is a direct result of leaders who excel. We help companies compete more effectively in the market by helping them identify their most valuable asset: executive talent. In the end, our goal is to expedite the hiring process to help find you the best executive match for your company. As a leading recruitment agency in China, SHI Group China understands a key part of the executive search process is the research phase. At this stage, we will work collaboratively with you to discuss your organization and the specifics of the desired executive placement. Our objective is to interview and critically evaluate the most promising executive professionals. We help to expedite the hiring process by introducing you only to candidates who have a history of executive success. The success and enduring quality of any company or organization is determined by the quality of its team. SHI Group China—a recruiter China—specializes in identifying and recruiting high-quality people for strategic leadership positions. We offer professional, confidential and world-class client service. We further created a challenging and rigorous candidate filtering process. Additionally, we give added-value consultancy advice. Furthermore, we added a realistic, commercial approach to fees in line with the demands of a modern business environment. We adopt a current up-to-date approach to search using the best technology and media available. More so, our pragmatism, realism and straightforward relationships with our clients are unrivaled in our marketplace. We commit to filling the role. We recruit the right people. Since executive recruiting is the foundation of our business, we seek to understand each client’s strategic goals. This includes the specific leadership roles and competencies needed to meet those goals, and the culture that new executives need to embody. As a recruiter China, our consultants possess the expertise and contacts to best support our search. We draw on our high-level professional networks, industry knowledge and internal resources to identify the right people. SHI Group China takes a broad, creative approach to identifying potential candidates. We evaluate candidates against what your needs are. During the interview stage, we gather feedback and manage candidate expectations—serving as your trusted adviser throughout the entire recruitment process. Through deep understanding of leadership, long probing interviews, and deep background checks, SHI Group China evaluates, identifies and then recruits the right leaders who have the attributes your company needs.​ We expect a lot from our team because our clients expect a lot from us. Many executive search firms focus on great talent. We focus on talent but know great talent can also cheat you better. So we research deeply to make sure that those who interview well are really as good as they look. Then we can confidently and formally recommend Top Leadership that you will also see as Trustworthy Talent®.